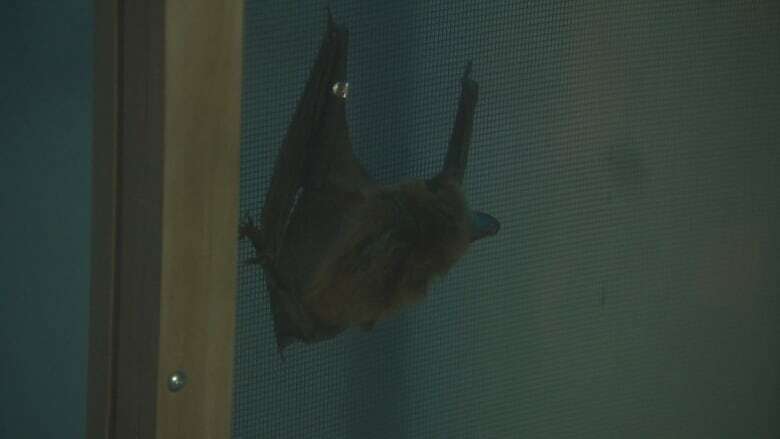 A number of bats were released back to nature Thursday night after spending most of the winter in captivity at the Saskatchewan Science Centre in Regina. A bunch of bats regained their freedom Thursday night after spending most of the winter in captivity at the Saskatchewan Science Centre in Regina. The brown bats were accidentally woken up from their hibernation during the winter. The rescued animals found refuge at the centre. "It is usually in peoples' homes or in offices where they've chosen a bad place to hibernate," Jessica Bickford, from the Science Centre, explained. This furry little brown bat was released after spending the winter at the Science Centre. Bickford said once a bat is woken up the animal is unable to resume hibernation. When the bats were first rescued from their precarious situation they were taken to the University of Regina where they were checked out, to make sure they were healthy and not injured. The science centre took them from there to spend the rest of the cold winter months until it was warm enough for them to be set free. But not all of them found the current weather to their liking. Their return to nature, Thursday night outside the Saskatchewan Science Centre in Wascana Park, was attended by a small crowd of about 400 curious spectators. The bats had miniature glow sticks glued to their bodies so they would be easier to see flying off into the darkness. The glue was non-toxic and the glow sticks would quickly fall off after takeoff. Of the 12 bats taken into care, eight flew away. Four, however, just held back and ended up back with the Science Centre until things warmed up. Shelby Bohn is a graduate student at the University of Regina doing research on bats. She said people think brown bats are nothing more than flying mice. She disagrees with that characterization. "Mice live fast, have a lot of babies and they die young. But bats live for a long time," she said. 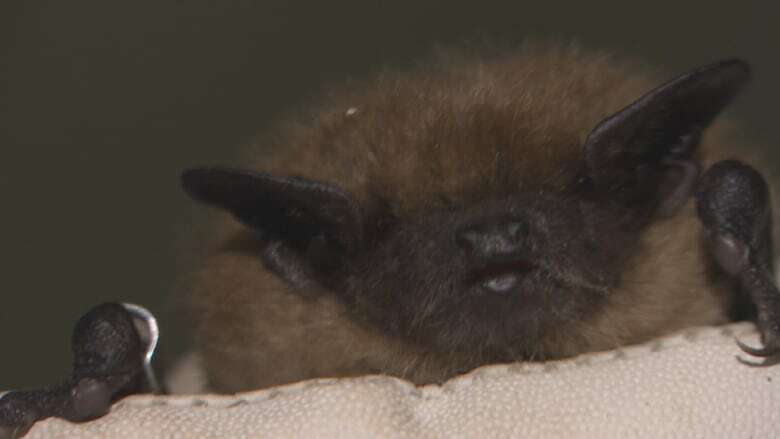 Brown bats were released from the Saskatchewan Science Centre on Thursday night. She noted that brown bats, like the ones they released Thursday night, could live up to twenty years. Another myth Bohn likes to dispel concerns their vision. Bats are not blind, she said. They actually have pretty good eyesight and turn to echo-location for guidance during flight. 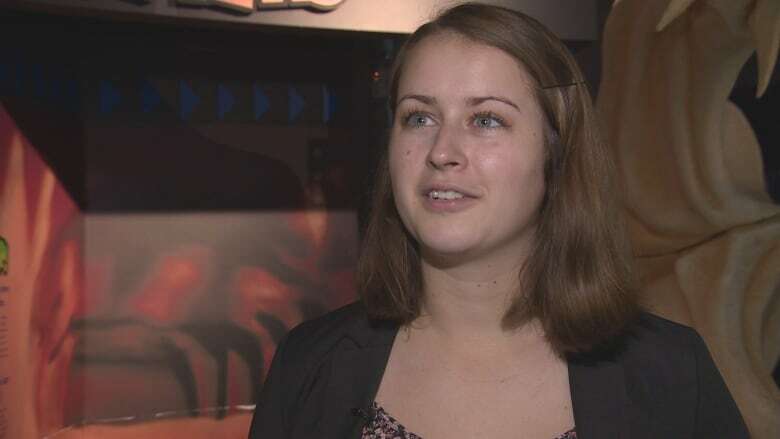 University of Regina graduate student Shelby Bohn is doing research on bats. "Echo-location is like sonar," she explained. "They're almost screaming at the top of their lungs, but it is at a frequency that we can't hear. These bats are shouting as they're flying and they're listening for the echo to come back." Bohn adds the brown bats are also quite sedentary in nature so they will stay within 50 kilometres of their release point. So, while they may leave Wascana Park, the Science Centre rescue bats are likely to remain residents of Regina doing their part to control the city's flying insect population.